The first generation of Christians were not popular. Nope, not by any stretch of the imagination. Ridicule, persecution, hatred, and scorn met them at every turn… and yet according to Acts 17:6-7, they “turned the world upside down.” They communicated the message of the Gospel more loudly and clearly than any other message before or since. Even with today’s abundance of social medias, celebrities, and “new-and-improved” evangelism techniques, too many modern-day Christians fail to share and articulate the Gospel effectively. In short, instead of turning the world upside down, they have been turned upside down by the world. And that’s not the way it should be. 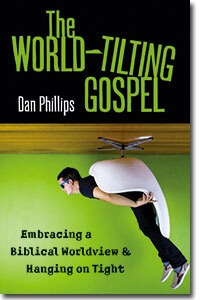 In his book The World-Tilting Gospel, Dan Phillips offers a clarion wake-up call to believers to have done with lesser things and embrace “a strategic, robust, biblical grasp of the of the Gospel of Jesus Christ and its transformative implications”. And what better way to go about it than by getting back to basics? Over the course of 300 pages, Phillips plainly lays out the biblically-framed Gospel, reminding us 1) who we are, 2) who God is, 3) how we got where we are, 4) what we need, 5) what God has done, and 6) what difference it makes. It’s all about catching hold of a bible-based worldview and hangin’ on tight… and it makes for one whirlwind of a ride. Phillips’ style is at once deeply personal and wisely pastoral. 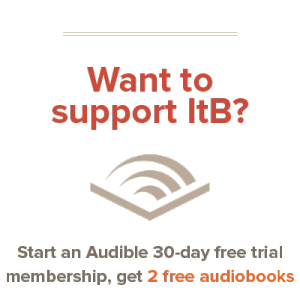 This – coupled with the crystal-clear lucidity of his writing – make the book engaging and the concepts which it sets forth easy to grasp. Occasionally, we even catch tidbits of his sense of humor (which is very funny, I might add). Most importantly, though, The World-Tilting Gospel is literally drenched in Bible. Phillips never asks us to take his word for it: he always points back to scripture. And the book is all the more potent as a result. The “deeper life” teaching isn’t really deep. It just looks deep because it’s so muddy you can’t see any bottom. My conclusion? That should be quite obvious. I found The World-Tilting Gospel to be a wonderful refresher of the truths that make the Gospel of Jesus Christ so massively powerful. Whether you’re young or old, a newcomer to Christianity or a seasoned saint, I think you’ll find it to be a rich, encouraging, and convicting book. Embrace the Gospel of God for yourself, and use every opportunity to tell it to others. It is that Gospel, and not our methods or programs, that is the saving power of God for everyone who believes (Rom. 1:16). It is the best you have to give anyone. Grasp it firmly. Live it robustly. Give it profligately, in Christ’s Name. And just watch things start to shake and shift. Thanks Corey. This sounds like a book we all need to read.